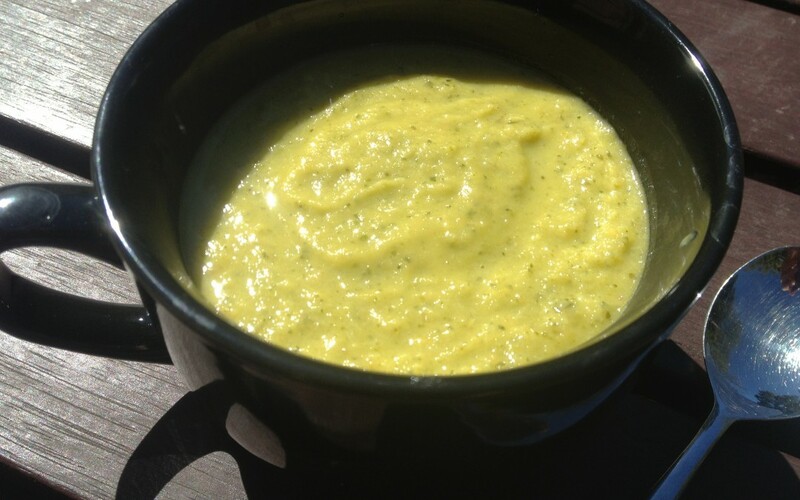 One of my all time favourite foods is soup and the Thermomix has made this a no brainer. I eat soup for breakfast and lunch most days. For me it is a way to get lots of vegetables in, full of flavour with the added benefit of being alkalising. Vegetables contain the most amazing phytonutrients and as I say to my kids all the time … “we are humans and humans eat vegetables”. Vegetables aren’t a lifestyle choice like grains, they are a core essential part of the diet upon which all other food hinges. It is very important to keep the diet alkaline as we know that an acidic diet leads to inflammation and altered immune system. When the body is alkaline it functions at its optimal best, absorbs nutrients well and fights of illness and disease effectively. 5. Add water and stock paste to the bowl and place TM basket in on top. For breakfast I like my soup to have texture and not to salty. As we wake slightly dehydrated and salt can increase this sensation. To make the soup smooth, puree for a full 1min / 9.